Monday Special: Ticket ₦1,500 Flat (Popcorn). Tuesday & Thursday:Ticket ₦1,500 Flat(Popcorn). Wednesday Promo:Ticket ₦1,500 Flat (Popcorn). Weekends: Ticket ₦2,500 (Popcorn and drink). School Excursions (Monday-Thursday): ₦1,000/Person (Movie and Excursion Popcorn). Bollywood Movies (Regular): ₦3,000 Flat (Popcorn and drink). Bollywood Movies (VIP): ₦3,500 Flat (Popcorn and drink). Blockbuster Movies: Ticket ₦3,000 (Popcorn and drink). Movies in 3D: ₦3,000 Flat (Popcorn and drink). Magic Mondays: Ticket ₦1,500 (Popcorn). Low cost Wednesdays: Ticket ₦1,500 (Popcorn). School Excursions (Monday-Friday): Ticket ₦1,000/Person (Popcorn and Drink). Bollywood Movies (Regular): Ticket ₦3,000 Flat (Popcorn and Drink). Bollywood Movies (VIP): Ticket ₦3,500 Flat (Popcorn and Drink). Movies in 3D: Ticket ₦3,500 Flat (Popcorn and Drink). Weekends: Ticket ₦2,500(Drink + Popcorn). Blockbuster Movies: Ticket ₦3,000 (Popcorn + drink). Monday Special: Ticket ₦1,500 (Promo Popcorn), ₦3,000(VIP) (Promo Popcorn + Drink). Weekends & Holidays: Ticket ₦2,500 & ₦3,000(VIP) (Drink + Popcorn). 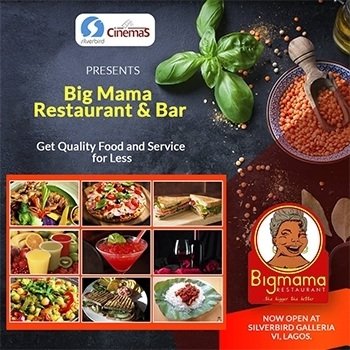 Blockbuster Movies: Ticket ₦3,000 & ₦3,500(VIP) (Popcorn + drink). 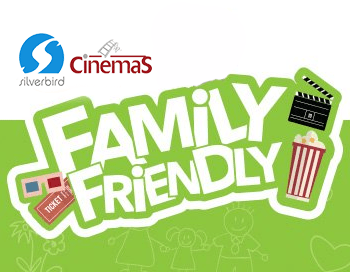 Movies in 3D: Ticket ₦3,000 & ₦3,500(VIP) (Popcorn + drink). Weekends: Ticket ₦2,500 (Popcorn + Drink). Monday: Pay a regular price of a ticket and get a free popcorn and a drink. Wednesday: Present your STAFF ID CARD or COMPLIMENTARY CARD and get a DISCOUNT and amazing prizes from sponsors. Friday, Saturday, Sunday and Holidays: Adults GH¢,30.00 Students ID GH¢,25.00 & Children GH¢,20.00. *All the above apply except for particular movies that have special prices. Friday, Saturday, Sunday and Holidays: Adults GH¢,25.00 Students ID GH¢,20.00 & Children GH¢,15.00.